After signing up Avexir recently, Play Interactive has managed to gain the trust of yet another international brand in order to become the brand’s exclusive distributor for the Malaysian market. This time around, the said brand is the German gaming peripherals manufacturer, Roccat. For those who are not familiar with the brand, Roccat produces tons of peripherals that are targeted for gamers out there such as mice, mouse pads, keyboards, headset and even mouse cord holder. The company even offers gaming notebook at its native market in Germany. Truth to be told, Roccat products has always been available in our market since years ago but somehow the brand presence in our market is not as big as other established players such as Razer and Steel Series. 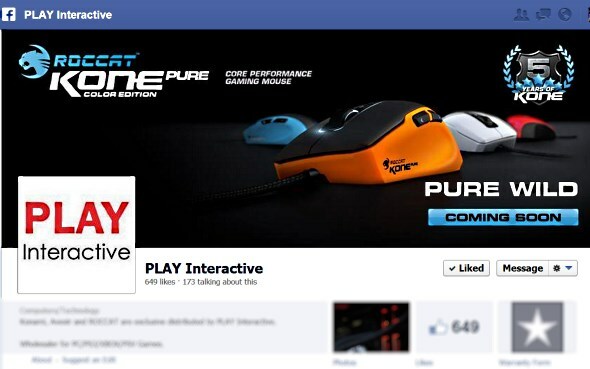 Will the appointment of Play Interactive able to change its presence here in Malaysia for the better?